This essay is by Jeremy Wellard, who is based in Hanoi. This is the first chapter of my new Vietnam 2014 book. The only thing most people know of Vietnam is the Vietnam War. In Vietnam, they call it the American War, and it’s just old history. There is so much more to this youthful, thriving country. Vietnam has long been considered the cultural and artistic heart of Asia, and the Vietnamese are the “Italians of Asia”. Highly social and heart-driven, with a penchant for drama and performance they are quick to raise their voices to sway a discussion, but equally quick to laugh off a misunderstanding. One of the greatest strengths of Vietnamese is their ability to find joy in everyday moments. Whether laboring in the fields or rushing through busy urban lives, they still find any excuse to put down their tools and laugh in conversation over a cup of tea. Since opening up to the world in the late 1980s, the Vietnamese have been racing ahead at full speed. Years of struggle under a system of collective production left people ready to enthusiastically embrace capitalist ideals. Since the late 1990s, Vietnam has had one of the highest economic growth rates in the world. This rapid growth created a highly entrepreneurial environment where everyone seems to have a second or third business on the side. Vietnam is the world’s only “Socialist-Oriented Market Economy”. This means the government maintains a large ownership and control of major companies, while small and medium businesses are left to develop freely. Forget any notions of the frugal communist lifestyle. Wealth and possessions are flaunted as signs of success. People will spend many months’ salary for a status symbol like an iPhone, fancy motorbike, or designer clothes. Yet there’s a deep-seated habit of saving money wherever possible. This can be seen in shops, where the air-conditioning is turned off until a customer walks in, or in the recycling culture where even used plastic bags have value. Vietnamese take great pride in their bargaining skills. When a new purchase is shown to friends, someone will immediately ask how much they paid for it. Ability to negotiate a good price demonstrates not just savvy but strong relationships. Trading on relationships is key. A popular saying is, “First your family, second your friends, third comes money.” This means people will always look out for family and friends, but for outsiders their help comes at a price. Strong family networks define the career and social lives of many Vietnamese. The government strongly recommends families have only two children, and most do. There are highly traditional expectations regarding responsibility to family, education, career choices, gender roles, marriage, and children. Newly wed couples live at the home of the husband’s parents until they can afford to buy their own house. Three generations often live together under one roof, and grandparents play an important role in providing childcare. Because of this in-home care, mothers usually return to work much sooner than the six months of maternity leave given by Vietnam’s labor laws, which strongly favor worker’s rights. In Vietnam, the year and date of a person’s birth is very important. It influences their whole life, including when they are allowed to marry, open a business, hold important meetings and have children. Social interactions and forms of address are determined by age, so upon meeting a new person, one of the first questions Vietnamese will ask is what year they were born. Because of a strongly collective past, where standing out from the crowd was potentially dangerous, new ideas may be regarded with caution. But once the viability of an idea is demonstrated, acceptance, imitation and adaptation rapidly follow. This tendency to follow others can lead Vietnamese to seem unoriginal in their thinking. But in fact their ability to quickly see an opportunity and willingness to capitalize on it creates a very dynamic and exciting environment. Despite the collective past, upwardly mobile Vietnamese have fully embraced the concept that the individual who works smarter and has more relationships can have more than their neighbor. A new “me-first” culture is rising. But there still remains a highly structured society underneath. 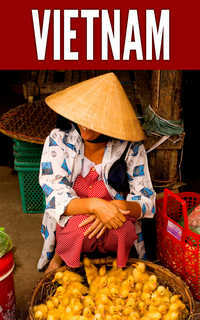 In many ways, Vietnam is perhaps both the most-collective and least-collective of the Asian cultures. Unlike common misconceptions regarding Communist states, Vietnam is actually a democracy, and all citizens have the right to vote every three years. Although they can only choose candidates from one political party, within this party there are factions with very different viewpoints. Individuals have a lot of freedom in most areas of everyday life. Overall though, they tend to avoid openly discussing political issues. Speaking against the government, protesting high-level corruption, or promoting other political systems can incur severe punishments for locals and expulsion for foreigners. Vietnam is chaotic, but far from lawless. The country has an advanced legal system. But there are many ways in which rules can seem more like guidelines. A “no” can become a “yes” with the right timing and persuasion. This can seem daunting, but those who understand the system are great at navigating its complexities. This is one of the main reasons foreign business people need a trusted local partner or good lawyer. Foreigners are surprised that sociopolitical tensions are actually highest with China, rather than the United States, France, or Japan. Vietnam is increasingly wary of China’s growing power and territorial ambitions. This has caused a strong wave of anti-China sentiment where Chinese products, particularly food, are considered poor quality and unhealthy. It has also driven a celebration of products “Made in Vietnam” and is combining with a growing awareness of health and safety to birth a clean-food movement. The only thing constant in Vietnam is change. Trends come and go, businesses open and close, and construction is a constant. The pervasive dust and noise are the sweat and tears of progress. But underneath this turmoil, there is a country that remains deeply Vietnamese, and people who are proud, ambitious, and happy to be open to a world of opportunities.